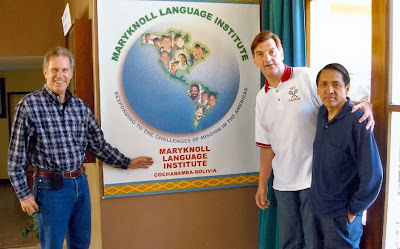 The outreach continued when Dr. Raul and Cathy Ceceres, Fr. 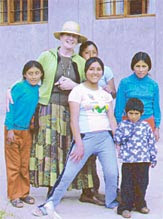 O’Malley and Sal D’Angelo went on a medical mission trip to Bolivia in 2006, developing a Burn Center. 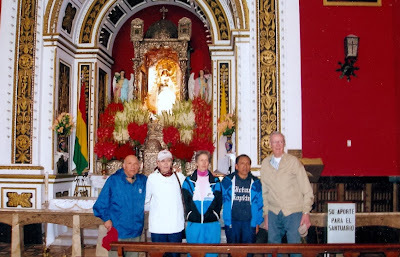 Raul Caceres and Bob Paladino; Sal D’Angelo ,Kathy Caceres, Raul Cacares, Fr. 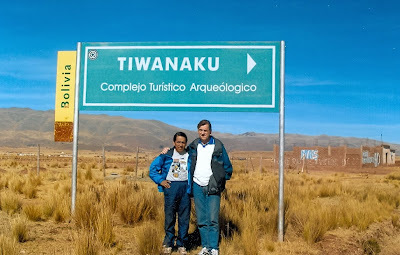 Bill O'Malley, Cocacabana, Lake Titicaca, Bolivia.